A fantastic set of races for our mixed team. The first heat was a hard-fought race but we pipped first place. Our second heat was a little easier. We won by several boat lengths. The final was a battle to remember. 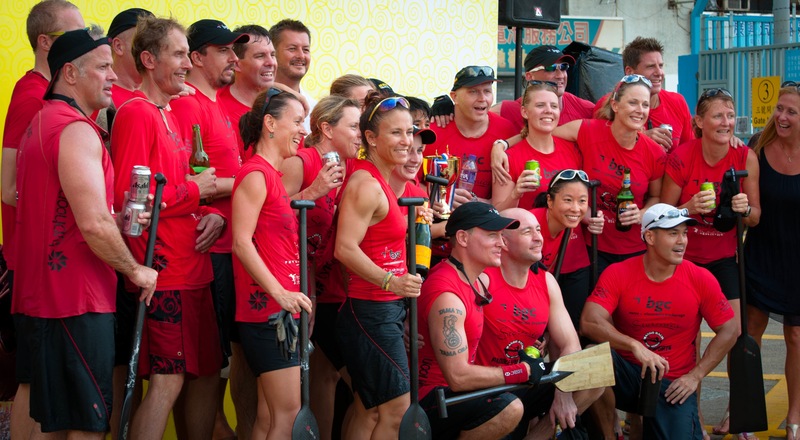 We found ourselves on the starting line with Royal X, Fish Eagle, and the Nam Hoi Traders, paddling as The Dragon Challenge Club. We had the lead until the end when we were just nosed by Fish Eagle. We did stay ahead of North Sea Dragons who were last year’s champions. Next up – Stanley on June 2nd!